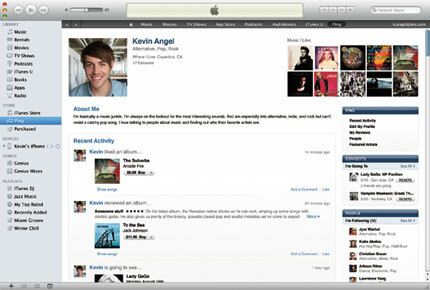 Apple has also launched iTunes 10, introducing new music-focused social networking functionality. Apple's new iPod touch is set to ship next week. 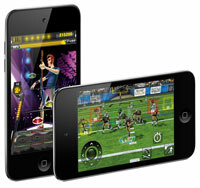 Apple has debuted a new version of the iPod touch. The popular consumer handheld device, set t sip next week, has been upgraded with HD video recording and a front-facing camera for making video calls over WiFi. Along with today's debut of the new iPod models, Apple also launched an updated version of the popular iTunes music service, adding a new social networking tool caled Ping. The latest version of the iPod touch will be based on Apple's A4 chip and will be available in configurations ranging from 8 GB to 64 GB. Apple said the new model will be the slimmest and lightest to date and will sport a three-axis gyro and a new 326 PPI Retina display with a total resolution of 960 x 640 pixels. The new models weigh in at 3.56 ounces and measure 0.28 inches deep. The new models also include a rear-facing camera for recording HD video (720p/30). Editing can be done via the iMovie app, available separately for $4.99 via the Apple App Store. Support for geotagging photos and videos over WiFi. Apple also introduced today new versions of the iPod shuffle and iPod nano. The iPod nano adds a multi-touch display interface and is about half the size and weight of its predecessor. The new iPod shuffle will include 2 GB of storage and both clickable buttons and Apple VoiceOver technology for navigation. The new iPod touch will be available in three editions beginning next week, according to Apple: an 8 GB model for $229, a 32 GB model for $299, and a 64 GB model for $399. The new iPod nano will be available in two configurations starting next week: an 8 GB model for $149 and a 16 GB model for $179. The iPod shuffle, which is also expected to ship next week, will sell for $49 and will include 2 GB of storage. The new Apple TV will be available later this month for $99. Further information is available here. Also debuting today is a new social networking service called Ping. Embedded within the latest release of iTunes (version 10), Ping is a service that lets users follow musical artists and connect with friends. It also allows users to create profiles for themselves, post content, create lists, and view other users' activities. Ping is available as part of iTunes 10, which is expected to be available today (although, as of this writing, it was not et available via Software Update or through to iTunes download page). Further information can be found here.